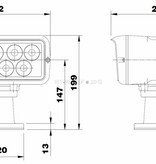 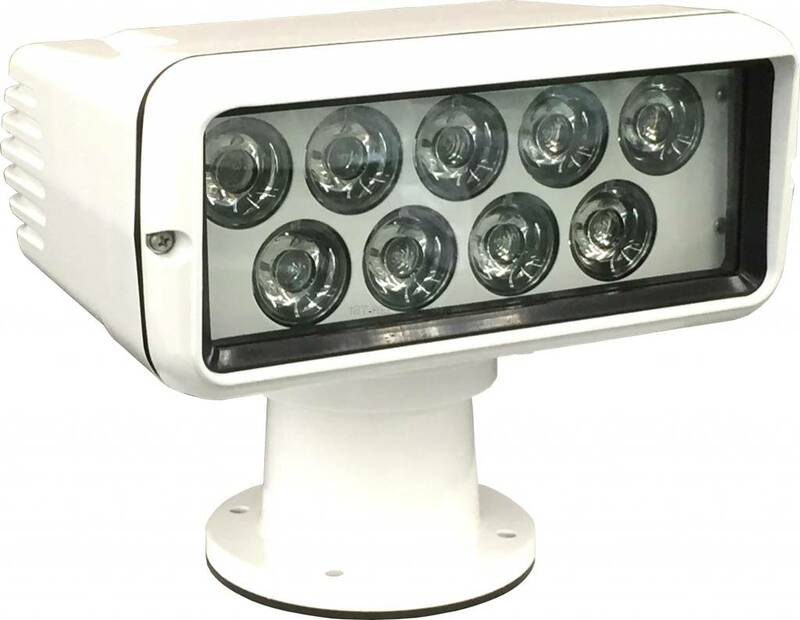 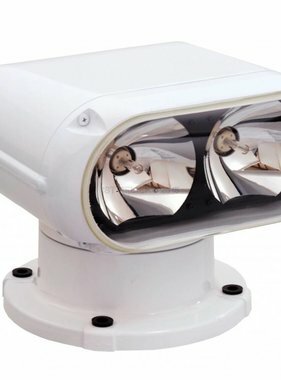 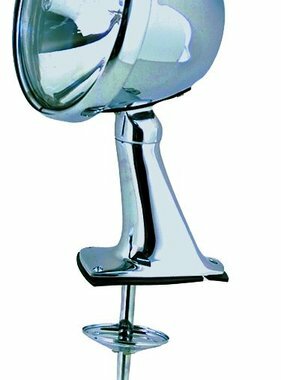 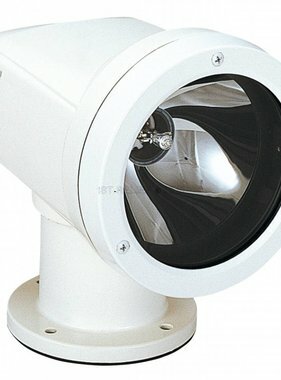 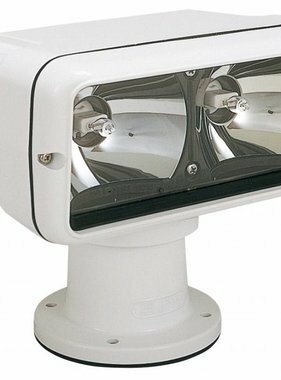 This premium high power LED Searchlight in protection class IP56 is most frequently used on luxury yachts. 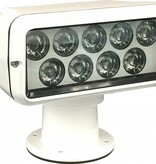 It is powered by 12 to 24 VDC and is equipped with a LED lamp with a maximum of 200.000 cd. 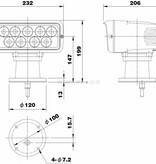 Part of the product is the remote control panel (optional available for a 2-stations control by a sub remote control panel as well) and a 5 m cable. 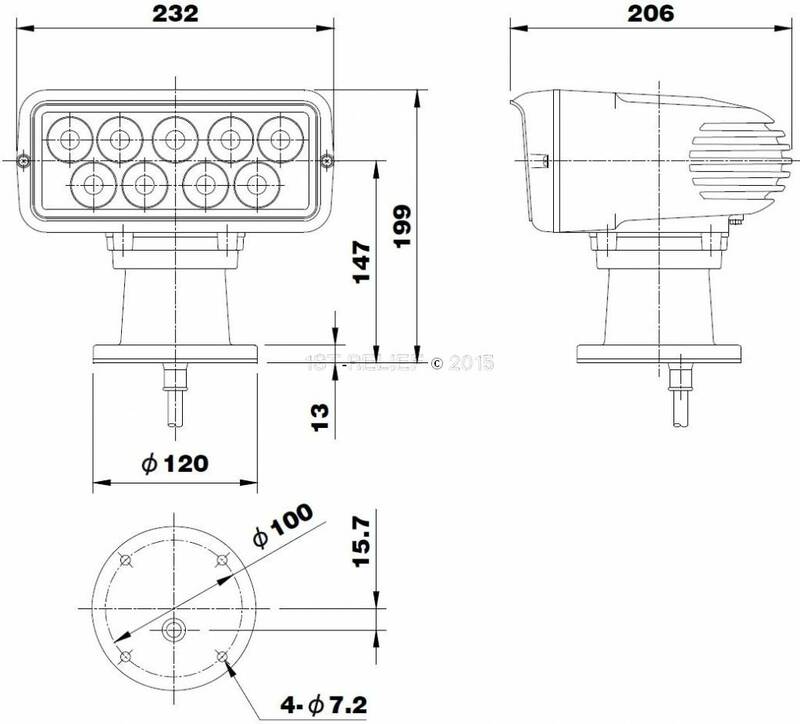 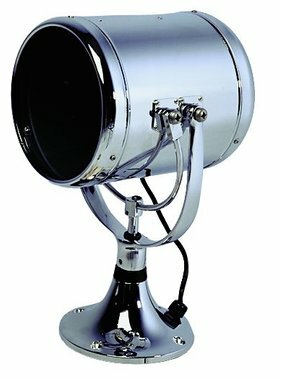 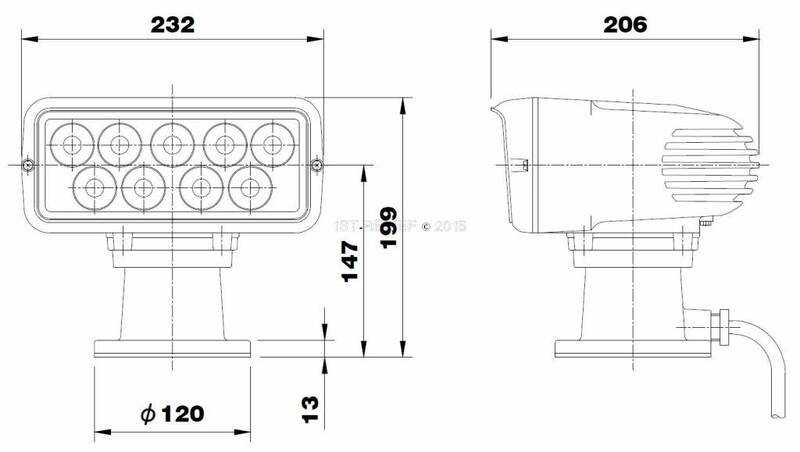 This LED Searchlight can be used for both voltages, 12 VDC and 24 VDC. 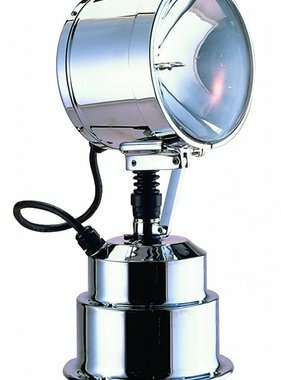 The long lifetime of approximately 40.000 hours with an energy saving of approximately a third compared with the halogen lamp type are outstanding arguments for this Searchlight.